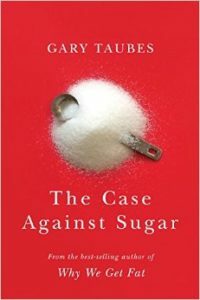 Gary Taubes has a new book out – The Case Against Sugar. I found links to 3 video lectures by Gary Taubes on dietdoctor.com. Those of us in our search of better health have learned how damaging and addictive sugar is, but it’s not just sugar, it’s really,the taste of sweet, that’s addicting. People, and doctors, think replacing sugar, with artificial sweeteners or other natural sweeteners like, honey, agave, or stevia is better or healthier. Artificial sweeteners have been around for a long time, but people are not any healthier because of it. Artificial sweeteners are no better, in fact they’re worse than sugar, because they are cancerous substances that are more addictive than sugar. Sugar by it’s self does not create metabolic damage, it is the rise in insulin that causes metabolic damage and disease. Sugar causes a spike in blood sugar and the release of insulin, but so do all sweeteners. The rise might not be as high as sugar, thus not releasing as much insulin, but people tend to think, the “healthier” sweeteners are “healthier”, so they eat MORE of them! For more information on the Zero Carb, sweet free, way of life, please join us in our Facebook Group.